CAIRO The United States and Egypt are returning to a "stronger base" in bilateral ties despite tensions and human rights concerns, U.S. Secretary of State John Kerry said on Sunday after talks with his Egyptian counterpart. "Egypt remains vital ... to engagement and stability in the region as a whole," said Kerry, who held the first bilateral strategic dialogue since 2009. Acting chief inspector Olga Venner, of Hampshire police, confirms an investigation into Friday’s plane crash at Blackbushe airport is under way. Questions have been raised over the cause of Friday’s plane crash in which three members of the Bin Laden family were killed, given the aircraft had used the runway, which is fitted with hi-tech safety features, regularly in recent months. The Saudi-registered Embraer Phenom 300 jet, which had departed from Milan’s Malpensa airport, was attempting to land at Blackbushe airport on the Hampshire/Surrey border when it crashed on to dozens of vehicles parked at a car auction site close to the runway. For over 150 years, the University has been exploring the development of the complex societies and civilizations of the Middle East. Today, the Department of Near and Middle Eastern Civilizations (NMC) has a proud reputation as the preeminent program in Canada, unique in offering five areas of advanced study: Ancient Near East, Egyptology, Hebrew and Judaic Studies, Middle Eastern and Islamic Studies, and the Modern Middle East. Coptic Studies, both its language and culture, have held an important place in this history as an integral part of our world renowned Egyptology program. ISMAILIA, Egypt (Reuters) - The first cargo ships passed through Egypt's New Suez Canal on Saturday in a test-run before it opens next month, state media reported, 11 months after the army began constructing the $8 billion canal alongside the existing 145-year-old Suez Canal. The new waterway, which President Abdel Fattah al-Sisi hopes will help expand trade along the fastest shipping route between Europe and Asia, will be formally inaugurated on Aug. 6. “International religious freedom has received greater attention across the political and social spectrum,”says an analysis piece published today byLapido Media. One sign of this, it says,is the recent honour given to Coptic Orthodox Bishop Angaelos, appointed Officer of the Order of the British Empire by the Queen for his services to international religious freedom. It was ‘imperative’, he added, for both individuals and nations to protect them. 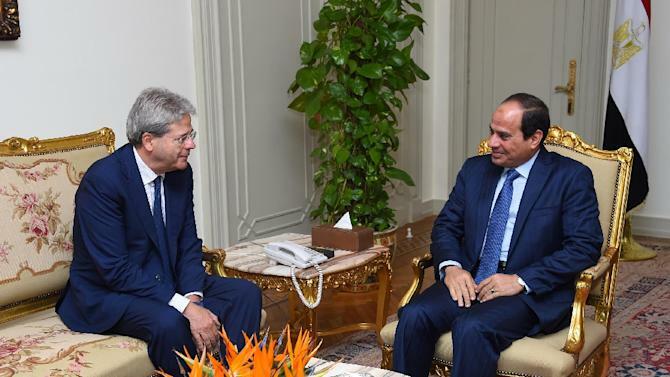 Cairo (AFP) - Italian Foreign Minister Paolo Gentiloni on Monday expressed his country's firm backing for Egypt in fighting "terrorism" after the jihadist Islamic State group said it bombed Rome's consulate in Cairo. IS claimed Saturday's car bombing on the city centre complex in the first such attack on a foreign mission in Egypt since the army ousted Islamist president Mohamed Morsi in July 2013. David Cameron is to announce how his government intends to curb organisations and individuals who promote militant ideologies at home and recruit young people to radical Islamist groups. The Prime Minister will set out legislation to be announced in the Queen's Speech that will include powers to restrict the activity of those who seek to radicalise young people and who use inflammatory speech in public places. Archbishop of Canterbury Justin Welby has travelled to Egypt for a "visit of condolence" following the murders of 21 Egyptian Coptic Christians in Libya. The group of migrant workers werekidnapped and beheaded by Islamic State (IS) militantsin February. The French government wants to send imams to classes in secularism and religious freedom as a measure to prevent home-grown extremism. Elizabeth Bryant reports from Lyon on a program that is paving the way. Sunlight slants across a classroom at the Catholic University of Lyon, where the Bible dominates a recent lecture. The subject may seem unsurprising in this ancient city that was once a bastion of French Catholicism. But the dozen or so people jotting down notes are not theology students. One young woman wears a headscarf. A man sports the beard of a devout Muslim. Still others are non-Muslim civil servants working for the local government. The logo of U.S. conglomerate General Electric is pictured at the company's site in Belfort, April 27, 2014. (Reuters) -GeneralElectricCo(GE.N) has delivered a shipment of gas turbines toEgyptas part of a $1.9 billion (1.28 billion pounds) deal to boost power capacity, and will invest $200 million in a planned economic zone near the Suez Canal, the firm said on Friday. وحضر المؤتمر أكثر من 25 مؤسسة ومنظمة مصرية وقبطية دولية وعالمية، وحشد من وسائل الإعلام ووكالات الأنباء العالمية. 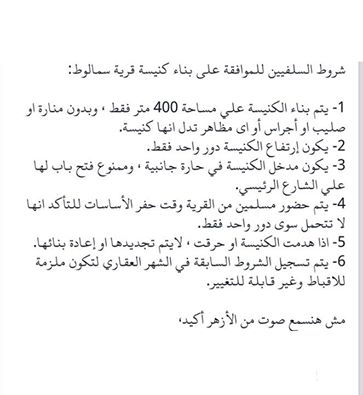 ويشارك فى المؤتمر عدد كبير من الشخصيات العامة، وعلى رأسهم الدكتور محمد العرابى وزير الخارجية الأسبق، والدكتورة درية شرف الدين وزيرة الإعلام السابقة، والدكتور حسن نافعة أستاذ العلوم السياسية، وسامح سوريال نائب رئيس الهيئة القبطية، والدكتور إبراهيم حبيب رئيس أقباط متحدون بريطانيا والناشط عصام عبيد رئيس الاتحاد الأوروبى للجاليات، والناشط جون سدراك رئيس اللجنة السياسية للهيئة القبطية الهولندية، والناشط حسنى بباوى منظمة أقباط النمسا، والعديد من المنظمات القبطية بأوروبا ورجل الأعمال المصرى بالسويد شيتوى عبدالله، والمرشح للبرلمان الكندى شريف السبعاوى، والمهندس مايكل منير رئيس حزب الحياة، ومدحت قلادة رئيس الاتحاد المنظمات القبطية بأوروبا، والناشط المصرى بألمانيا مجدى يوسف المتحدث الرسمى لاتحاد الأقباط بأوروبا، وأشرف فهيم سكرتير الاتحاد الأوروبى للجاليات المصرية، والدكتور هانى شنودة بكندا، والناشط ماهر يوسف رئيس الهيئة القبطية السويدية، ووفد من التلفزيون المصرى، برئاسة المخرج أكرم بشارة، والمذيع جورج رشاد، والمذيعة غادة عبدالسلام والمنتج بالتلفزيون المصرى ريمون عزمى. وقامت الهيئة القبطية الهولندية، بعرض فيلم لمدة 10 دقائق بعنوان "إرهاب الاخوان فى مصر"، حول ما يفعله الإخوان فى مصر من عمليات إرهابية بهدف نشر الذعر بين المواطنين. U.S. President Barack Obama (L) and British Prime Minister David Cameron (R) depart a joint news conference following their meeting at the White House in Washington January 16, 2015. WASHINGTON (Reuters) - U.S. President Barack Obama and British Prime Minister David Cameron vowed on Friday to take on "the poisonous ideology" of Islamic extremists and said intelligence agencies must be allowed to track militants online despite privacy concerns. Obama and Cameron held two days of White House talks amid increasing concern in Europe about the threat posed by extremists after 17 people were killed in Paris attacks and Belgian authorities engaged in a firefight with terror suspects. Charlie Hebdo attacks have led to the immigration issue becoming ever more acute in Germany, with equally massive rallies being held there by anti-Muslim activists and their opponents. Both sides claim to be in solidarity with the Paris massacre victims. 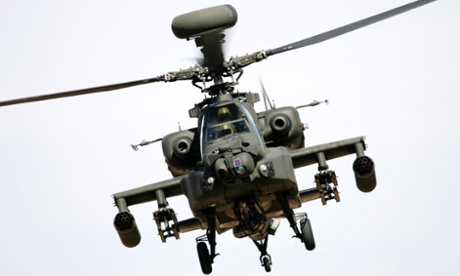 Egypt received 10 Apache helicopters from the US in the past week, security sources said on Saturday, in a sign of easing tensions between the longtime allies confronting Islamist extremism across north Africa and the Middle East. The US announced in April that it had decided to lift its hold on the delivery of the attack helicopters. The hold was imposed last year, after the military toppled elected president Mohamed Morsi and cracked down hard on his Muslim Brotherhood supporters. Urumqi, the capital of China’s restive Xinjiang Uighur Autonomous region, passed a rule Thursday banning the use of full-face veils in public areas. The move is seen as an effort to curb violent attacks in the region, which Beijing has attributed to Islamist extremism, according to The Associated Press (AP). Authorities who bulldozed part of compound disperse worshippers. JUBA, South Sudan (Morning Star News) – Police and security personnel today dispersed a congregation keeping vigil over its disputed property in North Khartoum, Sudan, and arrested five church leaders, sources said. 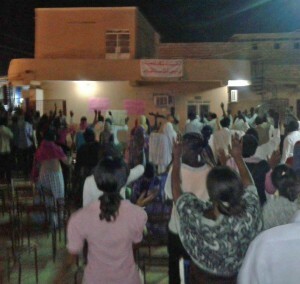 Authorities arrived at noon at the compound of the Khartoum Bahri Evangelical Church, where last week they demolished a pastor’s house and church wall, and threatened to arrest members of the congregation camped out on the site of the destroyed house as the Christians prayed and worshipped, a church source told Morning Star News. Heinz-Christian Strache has said stated his intentions in several speeches, alluding to an alarming rise in radical indoctrination going on in Austrian schools. Protecting young children is important to “counteract dangerous currents,” he said, as cited by The Local. Home Secretary Theresa May has revealed 40 terrorist plots have been foiled since the London July 7 attacks more than seven years ago as she underlined the scale of the threat faced by the UK. As she unveiled broad-ranging new powers to tackle terrorism, Mrs May said 753 people had been arrested for terrorism-related offences since April 2010. She also said 212 have been charged since the Coalition Government came to power with 148 successfully prosecuted and 138 people are behind bars for terrorist-related offences. Thirteen people, including hook-handed radical cleric Abu Hamza, have been extradited, while other individuals deemed dangerous, such as Abu Qatada, have been deported. A proposed law that could remove crippling restrictions on the building of churches in Egypt will be presented to the country’s parliament early next year, according to a government minister. 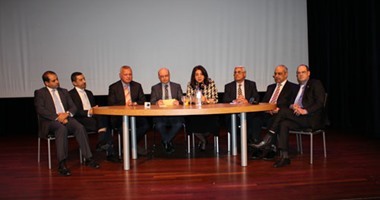 Egypt’s Minister of Transitional Justice, Ibrahim Henaidi, told reporters on 16 October that a committee comprising church representatives and government officials will be formed to discuss the bill before it is presented to parliament. Under Egypt’s constitution, which was passed in January this year, parliament is required in its first session to “issue a law aimed at regulating the construction and restoration of churches in a way that ensures that Christians perform their religious rites freely”.